On this week's episode, we're back from our third IDPA match in four weeks to bring you a look inside the range bag of Sgt. Bill, tips on how to avoid disappointing gun and gear purchases from Aaron Israel of Fundamental Defense, and Rev. Kenn Blanchard, the Black Man with a Gun, joins us to talk about podcasting, gun violence and race, and his newest project: GunMovement.ORG. We are honored to be joined by the Rev. 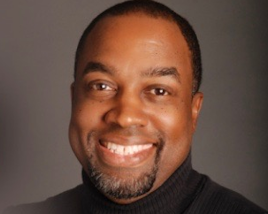 Kenn Blanchard, host of my favorighteous podcast, The Black Man with a Gun. Kenn talks about how he got started in podcasting and his lifelong love of radio. We talk about the history of African-American support for gun control and Kenn's new project. Coming on May 1, he is launching a new initiative, GunMovement.org, which features the stories of gun owners and concealed carriers of color — blacks, asians, latinos — the gun owners who don't fit into the NRA Country stereotype. He's bringing together new faces from around the country to share their experiences. We're back from the Badlands Regional IDPA Championship in Tulsa. Sgt. Bill and I got up at 2:30 on Saturday morning, chugged energy drinks, and drove to Tulsa for the match. I struggled with squib loads in the early stages which threw off my mental game. Bill was DQ'd on stage three for shooting steel inside of 10 yards. The Safety Officers didn't seem to know the rules. Two stages — four and five — were thrown out completely! They ran stage four differently on day one than they did on day two and stage five was completely illegal because it required you to move between points of cover, exposing yourself to open targets. Then you had hour long waits for stages seven and eight, and another hour wait for stages nine and ten. Whatcha gonna do? It's Badlands. Still, I finished 7th in ESP Marksman. The previous week at Arkansas State in Perryville, Arkansas was much better. I finished fifth in ESP Marksman, Bill won High Law Enforcement and 1st Place ESP Expert with a long-awaited and much deserved bump to Master. Cook's Holsters sponsored the match, too! In this week's personal defense tip of the week, Aaron Israel has tips for making good gun and gear purchases. Any gun will do if you will do is an old cliche, but it's not a complete thought. Yes, lots of guns will go bang, but if you can't grip it or manipulate it well then it doesn't work well for you. The same is true for belts and holsters. And if you come to a training class you will find out quickly what works and what doesn't. The gear you chose may look good in the gun shop or at the gun show, but you may find it's a bad choice when you get out on the range. Today Sergeant Bill talks about what he packs in his range bag for matches or practice. There are the obvious things — the gun, magazines and holsters — but there are a lot of other little things that make life on the range more bearable. Sunscreen, a towel to wipe your hands and face, a brass squib-rod, the IDPA rule book, a pen, cleaning kit for your eye protection, a shot timer and batteries, a can holder, spare parts for his guns, a trash bag to cover his gear if it starts raining, tools, leather work gloves, snacks, tape or extra pasters, a bottle of water or Gatorade, and a brass bag. The Linkin Bark music leading into and out of Sgt. Bill's segment is an inside joke. Tired and highly caffeinated, we laughed ourselves silly watching this video on the way to the Badlands match.